We’re polite communities, and we don’t like to brag. But in this case, we’re going to put our modesty aside and cut right to the chase. 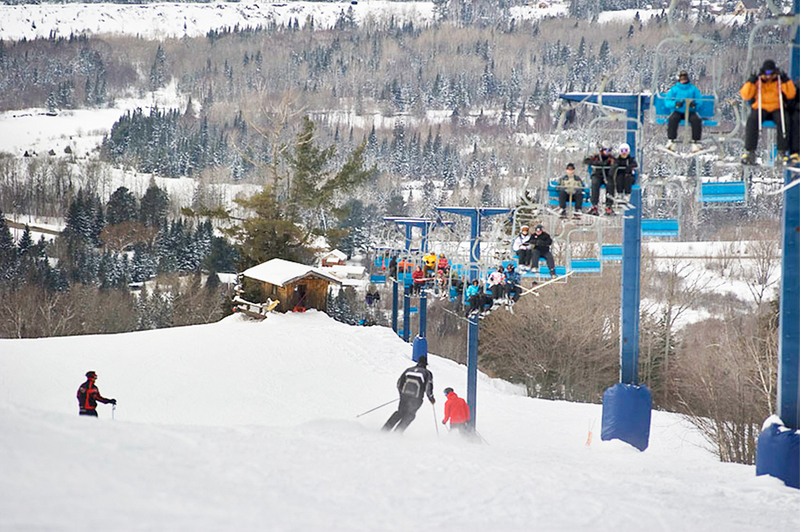 The “Twin Saults” (Sault Ste. Marie, Ontario and Sault Ste. Marie, Michigan) are the ideal location to host Amazon’s HQ2. You may be asking, “How can two small cities compete for the second headquarters of a global corporation?” It is a valid question, but one that our bid package answers in spades. The Twin Saults Amazon Bid Committee considers our proposal to be bold. We believe it is as bold as Mr. Bezos’ vision to start an online retailer when e-commerce was in its infancy. Watch to find out why Sault Ste. Marie is open for business. For centuries, enterprising builders and entrepreneurs have forged world-renowned solutions here — from paper and steel to transport and power generation. Today, that same “maker” ingenuity is powering new segments of the global economy: renewable energy, gaming, geomatics, aerospace, ecosystem management, agri-innovation and more. It’s also incubating start-ups, revitalizing craft industries and has a rich indigenous culture. That’s why the resourceful and independently-minded find themselves at home here. 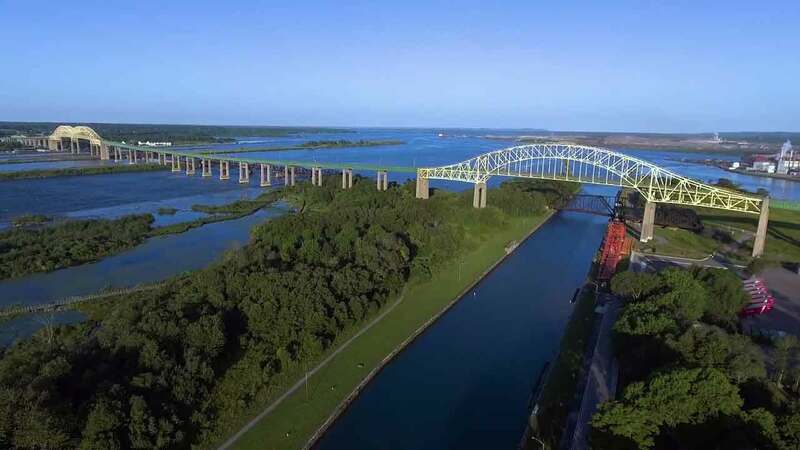 The Twin Saults not only share the same name, but an uncongested international border, the busiest lock system in the world, and an unbeatable location at the heart of the Great Lakes. Bordering Lake Superior, Lake Huron and Lake Michigan, our area is a perfect location for getting goods to market. 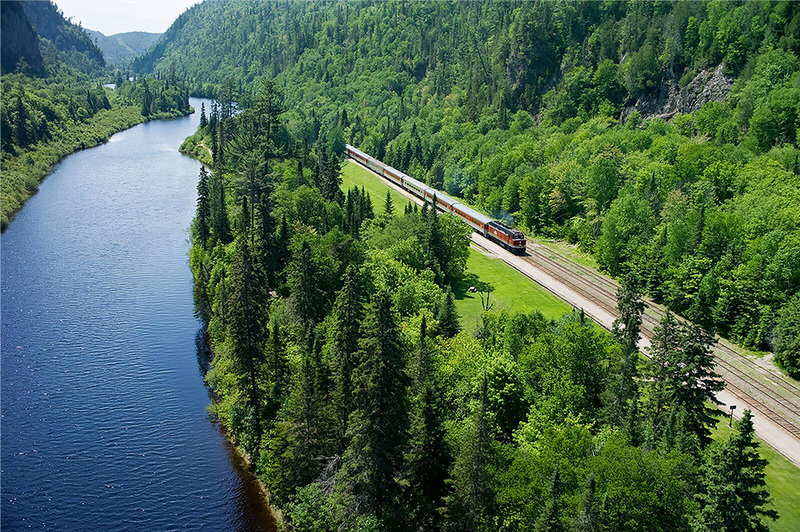 Similarly, rail line from Sault Ste. Marie, Ontario connects with the Trans-Continental Railroad on the Canadian side, and crosses the St. Mary’s River and connects to anywhere in the continental United States. 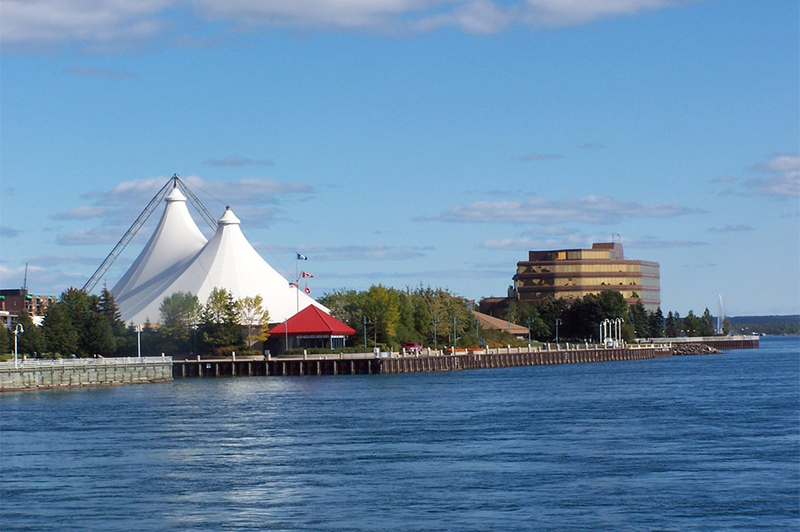 Our international border also offers unmatched access to the Trans-Canada Highway and the U.S. Interstate system. With plenty of room to grow on both sides of the border, the Twin Saults are not only an ideal location for Amazon HQ2, but would also make a perfect location for a distribution centre to efficiently reach both the U.S. and Canadian markets. What makes Sault Ste. Marie perfect for HQ2? The ideal community—the preferred location. Competitive costs and qualified talent. We're here to help Amazon. Incentives to establish and grow. Sault Ste. Marie boasts an extraordinary quality of life. 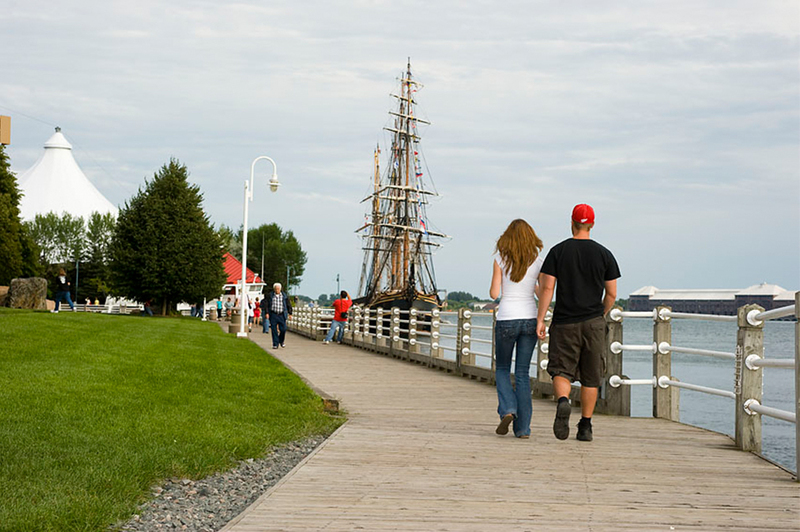 A family-friendly community, work/life balance that cannot be beat, affordable housing, centres of learning and culture, urban amenities, and our renowned four-season recreation assets are natural complements to the nearly 600 megawatts (MW) of clean renewable energy produced in the region (solar, wind, hydro-electric generation). Sault Ste. Marie ranked 10th globally out of 111 cities in the 2016 KPMG Competitive Alternatives study for competitive business cost structure. Sault Ste. 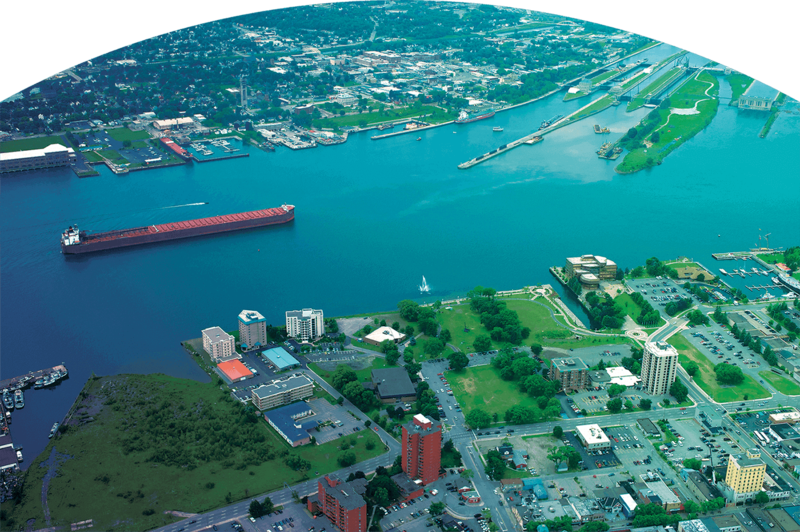 Marie fared very well when compared to Toronto, Detroit, and Vancouver in relevant sectors such as video game production, software development, and corporate services, where Sault Ste. Marie ranked 3rd, 9th and 8th respectively. Canada ranks 1st in tax competitiveness for digital services, research and development, corporate services and manufacturing sectors. Ontario’s total business tax costs are 52.6% lower than the major U.S. city average (2016 KPMG Focus on Tax). Login credentials sent via e-mail on October 17, 2017 at 3:26 p.m.